Water, hunting, meadows and wood were the most important raw material of the town population of Moncalvillo. Since the 16th century collecting snow grew into a new activity that soon developed into an essential raw material owing to its capacity to preserve and cool food in addition to its medicinal properties. Following a tradition extending over Europea and all of Spain, some towns in the zone constructed snow pits near the center of town. 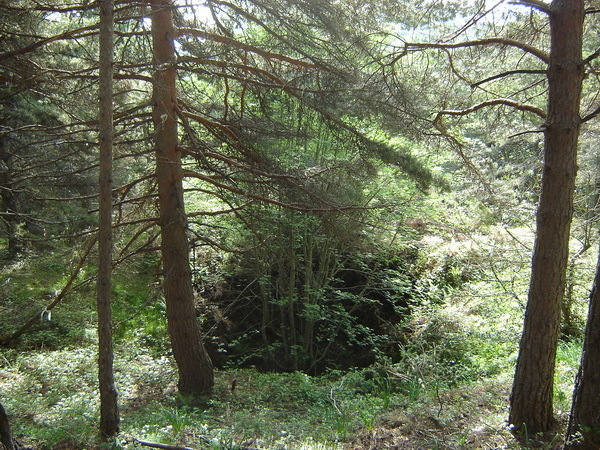 In addition to these urban features, they built pits also in the mountain in case the urban structures were exhausted before November. 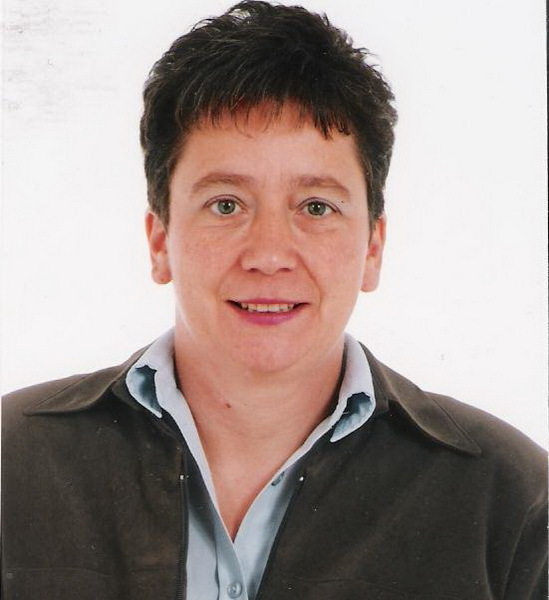 The role of snow diminished considerably toward the end of the 19th century and the features were abandoned with the arrival at the markets of industrial ice. Once the ice-pits were abandoned their destruction began. 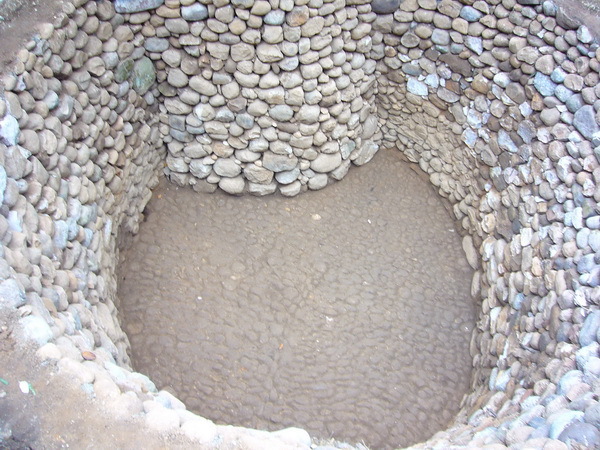 The complex architecture of these features were not adaptable for use in agriculture of livestock raising. 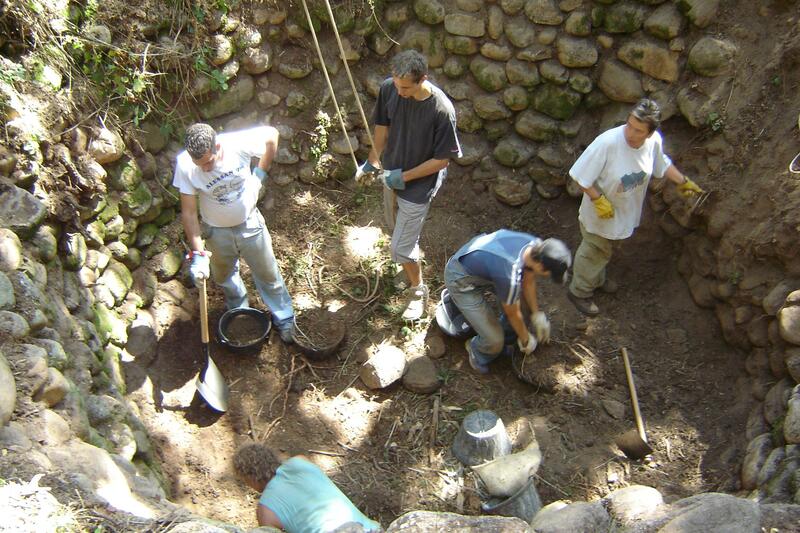 Due to the abandon, the thee ice-pits of Entrena, Medrano, Daroca y Ventosa were filled in. The only remaining feature is the urban ice-pit of Hornos de Moncalvillo. 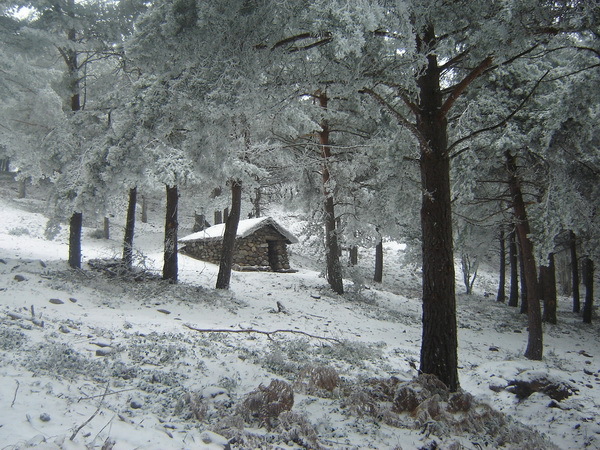 In the meantine, the snow pits of the mountains of Sotés, Santa Coloma and Daroca continue to suffer the ravages of the climate and the overgrowth of vegetation. The only remaining feature is a group known as the “Casa de la nieve de Moncalvillo” constructed by the Council of the city of Logroño in 1597. 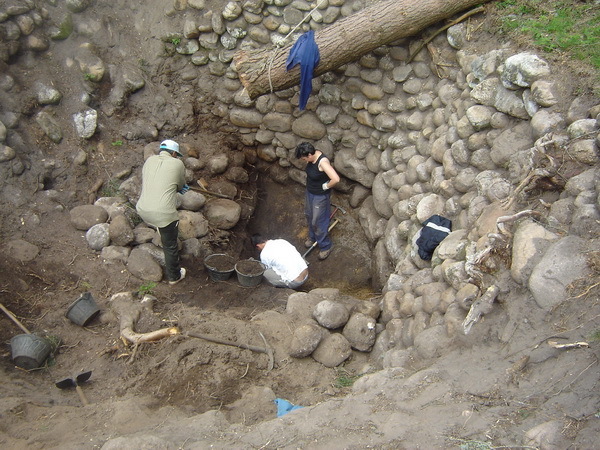 Other ice-pits are presumbably attributed to the Siete Villas de Campo: either Entrena to or Medrano. 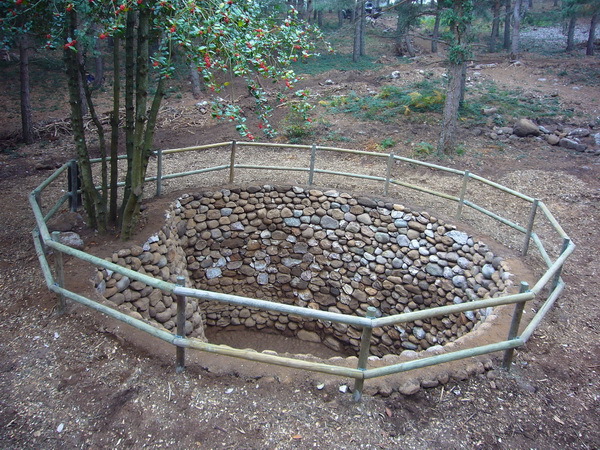 The archaeological supervision of the restauration work of the “Casa de la nieve de Moncalvillo” ice-pits was undertaken by Pilar Pascual Mayoral, following the following steps.